Sold in 10 pieces per pack @ $3.00 each = $30.00. These lovely gemstone pieces are perfect for a variety of crafts including making beautiful one of a kind pendants. Each piece has a polished flat back for easy use in the craft of your choice. 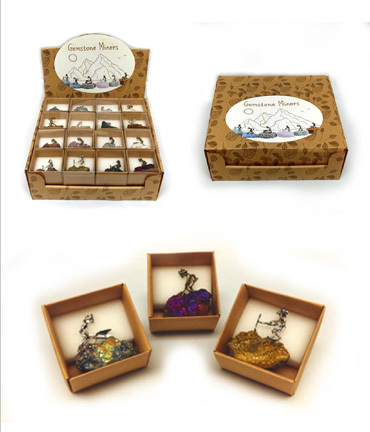 Pieces range in size from approximately 1" to 1.5" and cost $3.00 each. 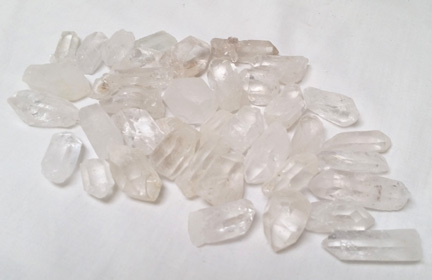 This product is available in two styles: Included Quartz and Assorted Gemstones. This Chispa Pyrite is sold in 11 lb. bags only. It is the second smallest form of Iron Pyrite that we sell, sized at approximately 1/4" - 1/2" per piece. Perfect for mixing with sand for a sluicing operation. Priced at $4.00/lb, sold in 10 lb bags. 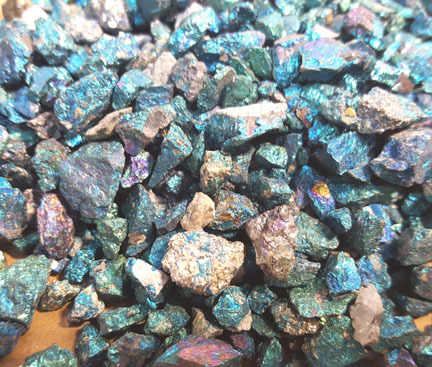 This is yet addition to our growing Bulk Minerals collection. 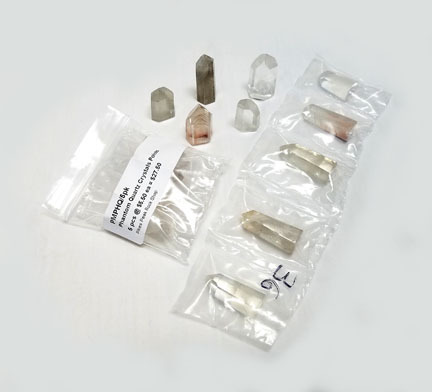 The Brazilian Bulk Rough Clear Quartz stones are approximately 0.5"-1.25" in size, priced at just $3.00 per pound, and sold in 10 pound bags. Approximate size ranging from 1/8" to 1/4". They sent us the wrong size! Limited time only. We will sell this product until it is gone. Sorry, no backorders. 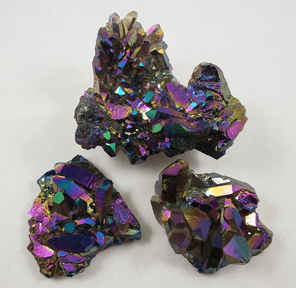 These Break at Home Geodes are sourced out of Morocco. 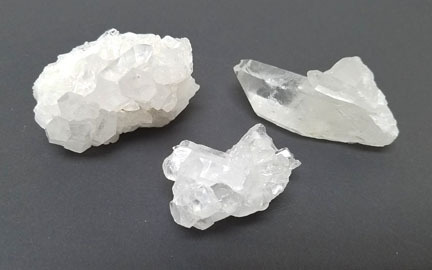 They are large geodes with a beautiful crystalline structure composed of mostly quartz but occasionally you may find some with calcite in the center. DISCONTINUED 3-18-19---BHG/35MO: $0.35 size: approximately 1" dia, 100 pcs/bag. DISCONTINUED 3-21-19---BHG/75MO: $0.75 size: approximately 2" dia, 25 pcs/bag. BHG/1.50MO: $1.50 size: approximately 2.75-3.5" dia, 25 pcs/bag. BHG/2.50MO: $2.50 size: approximately 3.5-4.25" dia, 10 pcs/bag. 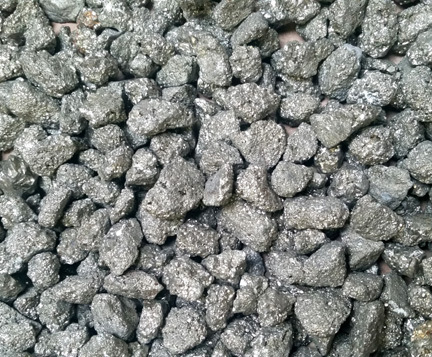 BHG/3.50MO: $3.50 size: approximately 4.5-5.25" dia, 10 pcs/bag. Rough Emerald Chunks Boxs are another addition to our ever growing line of flatted minerals. Each box contains 20 pieces of rough Emerald pieces averaging to $3.00 each. These pre-boxed chunks are protected by a plastic "egg crate" so that each piece is cradled for safe shipping. Sold by the bag. NEW PRODUCT!! 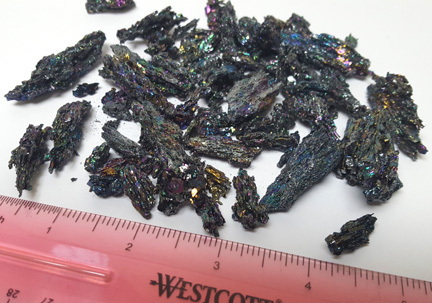 Sold by the 1 lb bag, each piece will range in size from approximately 0.5" to 2" long. This will vary from bag to bag. 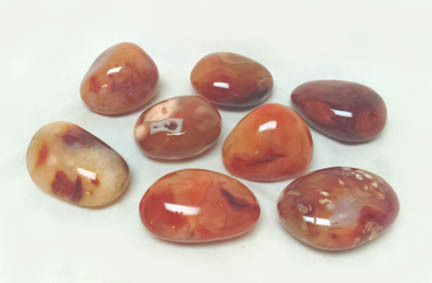 Crazy Lace Agate (also known as Mexican Agate) is a banded chalcedony that is infused with iron and aluminum. 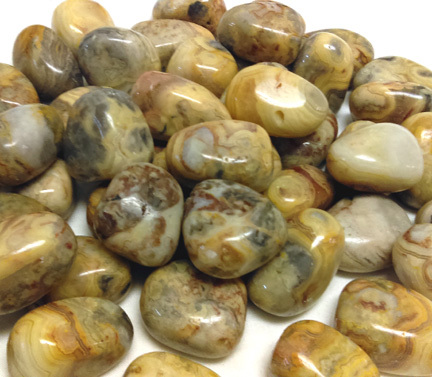 It is a brightly colored and complexly patterned stone whose colors include creamy browns, blacks, greys, and golds swirled together in this gorgeous mineral. This stone is found exclusively within the area known as Chihuahua, in Northern Mexico. Crazy Lace Tumbled Stone is available in two sizes. 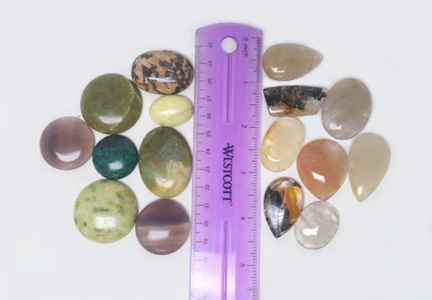 Medium sized stones are approx 0.75" and Large are approx 1". 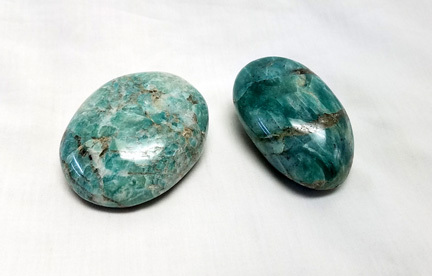 Amazonite is a gemstone variety of green microcline, a feldspar mineral. It is named after the Amazon river in Brazil. Surprisingly, no deposits of it have been found there. The name may refer to the variable green shades of the rainforest along the big river that are reflected in the gemstone. Amazonite is said to calm one's emotions and soothe nerves, and to enhance creativity and the ability to express oneself. Perhaps the strongest recommendation of its metaphysical powers is that Amazonite is said to make your married life happier. 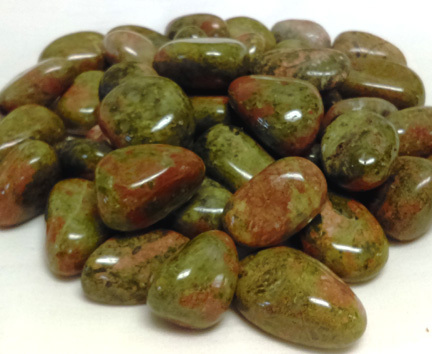 Amazonite Pebbles are small enough to fit in the palm of your hand. Rubbing your fingers across the stone can promote calm if you are feeling stressed. Prices range from $2.00 to $13.00 each.